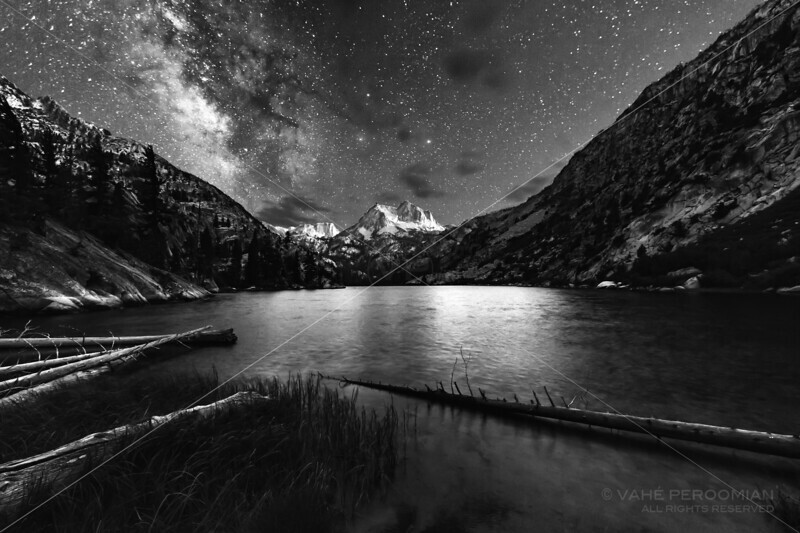 The Milky Way rises over Barney Lake, Hoover Wilderness, Eastern Sierra, California. Photographed August 2016. Selected as a Nominee in the Nature category at the 12th Annual Black and White Spider Awards (2017).